Home > Has the Bible Been Translated Reliably? In Part 1 of this series, we saw that the text of the Bible has been reliably preserved through the centuries of handwritten copying. In this article, we consider the question of the reliability of translations of the Bible. Many people are skeptical about their reliability, believing that it is impossible to know if what an English Bible says accurately represents the meaning of what the biblical writings originally said in Hebrew and Greek. People often voice such suspicion about the Bible but rarely about other books that they read in translation. Most philosophy students would never think to ask if their readings from Plato and Aristotle (written in ancient Greek) have been accurately translated into English. One might suppose that the question arises because Christians regard the Bible, unlike these other books, as carrying God’s authority and expressing his will for us. On the other hand, English translations of the Qur’an, the scripture of Islam, are usually not regarded with the same sort of suspicion. One reason for the question about the Bible is the fact that in some languages, especially in English, a large number of translations are available. Since they differ in their wording, some people conclude that all such translations are unreliable. That conclusion is mistaken, for the following seven reasons. 1. Most English versions are extremely reliable, just not absolutely perfect. The Christian view that the Bible is without error refers to the original Hebrew and Greek text. It applies to English versions only insofar as they accurately represent those ancient texts. Since most versions do so with a very high degree of accuracy, they are reliable even though not absolutely perfect. 2. English versions sometimes differ because they are translating different editions of the original language text. We discussed this issue in Part 1. Particularly in the New Testament, most modern translations are based on earlier Greek manuscripts than were available to the translators of the KJV (also followed in the NKJV). For example, in Matthew 5:47 most versions say “Do not even the Gentiles do the same?” (ESV, NASB, NRSV) while the NKJV says “Do not even the tax collectors do so?” In this case, most versions follow the Greek manuscripts that have the word ethnikoi (“Gentiles”) rather than telōnai (“tax collectors”) and the expression to auto (“the same”) instead of houtōs (“thus, so”). These are not differences in translation at all. Most Bibles contain marginal notes or footnotes letting the reader know about such differences in the original-language text. Notice that in this example the difference does not change the point of the verse, which is that even people Jesus’ hearers might regard with disdain are nice to those who are nice to them. Almost all such variations in English Bibles likewise make little difference with regard to the Bible’s meaning. 3. Anyone who learns Hebrew and Greek can check the translations to see how accurate they are. In general, it is amateur Bible critics and those swayed by them, not biblical scholars, who are skeptical about the reliability of English translations. The scholars may have their preferences or argue about how best to translate a word or phrase here or there, but they do not express wholesale skepticism of the English Bible as do many critics of the Christian faith. 4. Different words can be used to express the same meaning. In Romans 5:8, the KJV says “God commendeth,” while contemporary versions say “God shows” (ESV), “God proves” (HCSB, NAB, NRSV), or “God demonstrates” (NASB, NET, NIV, NKJV). There is no difference in the Greek text underlying these versions here and no real difference in the meaning of the translations; they simply use different English words to express the meaning of the Greek verb sunistēsin, which a standard lexicon defines as meaning “to provide evidence of a personal characteristic or claim through action, demonstrate, show, bring out.” A large percentage of the differences in translations are of this type. 5. Translations sometimes differ because they follow different methodologies. English versions fall along a spectrum from those that are more word-for-word (e.g., the NASB) to those that are more thought-for-thought (e.g., the NLT), with others toward the middle (e.g., the NET). All of these methodologies involve a trade-off: the more word-for-word a version is, the less readable or easily comprehensible it is, while the more thought-for-thought a version is, the more the translators are actively interpreting the text for the readers. In many instances modern versions will translate an ancient idiom to express its meaning. For example, “the valley of the shadow of death” in Psalm 23:4 (ESV, KJV, NAB, NASB) is translated “the darkest valley” in several versions (HCSB, NET, NIV, NLT, NRSV); one version tries to split the difference (“a ravine as dark as death,” NJB). It isn’t that one of these is “right” and the others are “wrong”; they are just different kinds of translations, each of which is legitimate in its own way. 6. In a few instances the meaning of a word was or is unknown or uncertain. This happens especially when a word occurs only once in the whole Bible. In such instances scholars either transliterate the word (spell it using English letters) or give the best guess. For example, the expression “gopher wood” in Genesis 6:14 (KJV, ESV, NASB, etc.) gives a transliteration of the Hebrew word gopher because its meaning is uncertain, though some modern versions translate it as “cypress wood” (NET, NIV, NLT, NRSV). Again, such difficulties do not interfere with understanding the import of the passage as a whole. 7. Some versions differ in places because of theological bias. A good example is the NWT, the Jehovah’s Witnesses’ version, which notoriously translates John 1:1 “and the Word was a god” because they deny that Jesus is God. It may seem difficult for someone without training in biblical languages to decide which versions are biased. However, usually one can get a good handle on the matter by comparing several versions. A version with many verses that differ from most other versions in doctrinally significant ways, as does the NWT, is likely unreliable. With rare and only minor exceptions, the same basic understanding of Christianity can be had from reading almost any mainstream translation of the Bible. The differences between Jewish and Christian versions of the Old Testament are likewise extremely minor. While scholars, pastors, and teachers will want to learn the original languages and engage in careful study of the Hebrew and Greek texts, for most Christians reading any of the major versions will be fine. The similarities are far more significant than the differences. God’s word comes through quite clearly in translation. 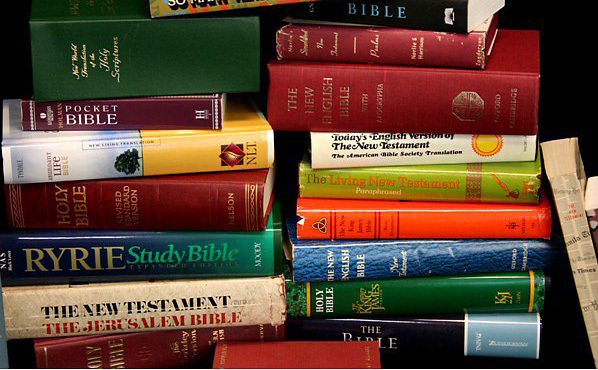 Bible Translations: Which Are the Best?